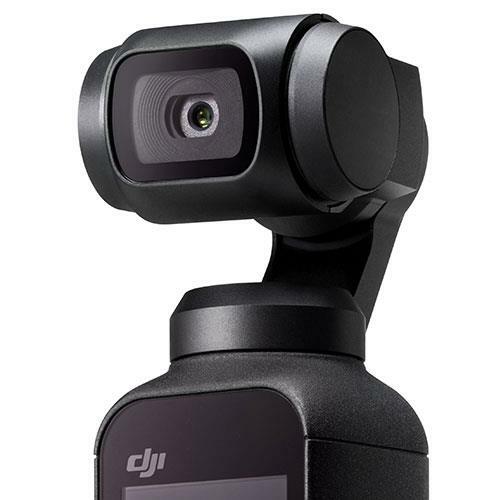 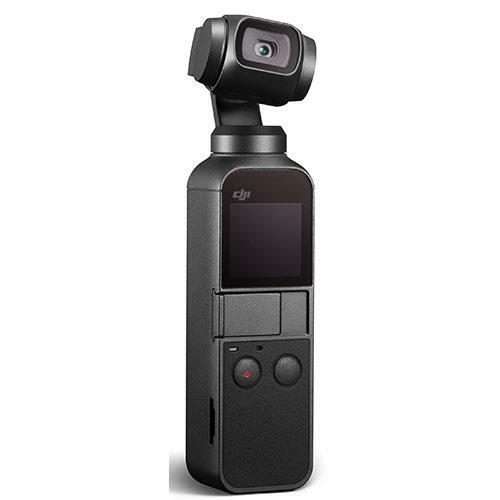 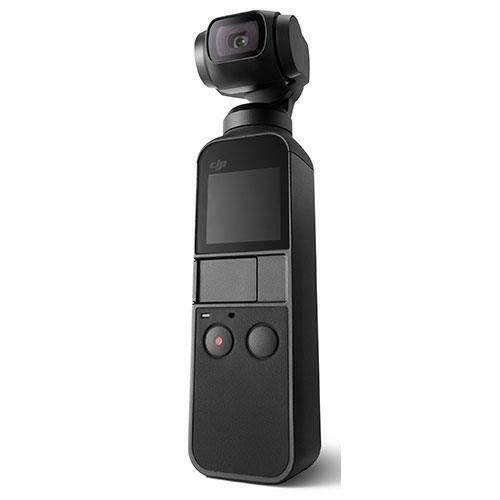 The DJI Osmo Pocket is a compact and intelligent 3-axis mechanical handheld gimbal that takes 12 megapixel still images and is capable of shooting 4K/60fps video at 100 Mbps. 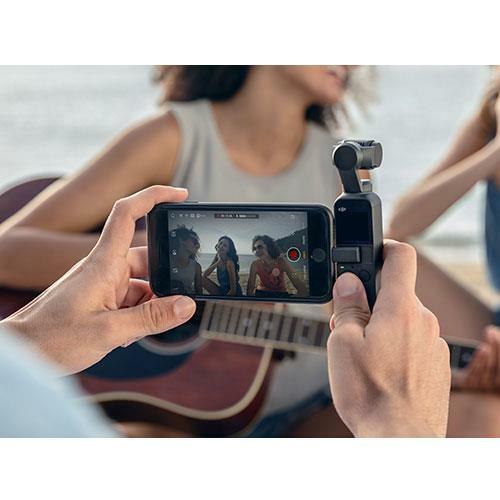 A sandstone handle is non-slip and sweat-proof, offering a comfortable grip. 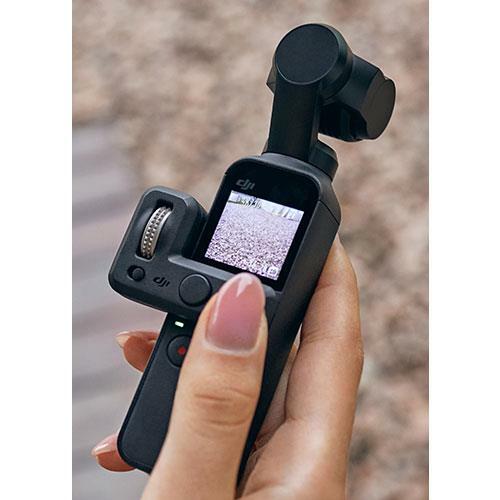 The built-in touchscreen and buttons provide a quick, single-handed user experience, letting you choose modes and adjust settings in a few swipes and taps. 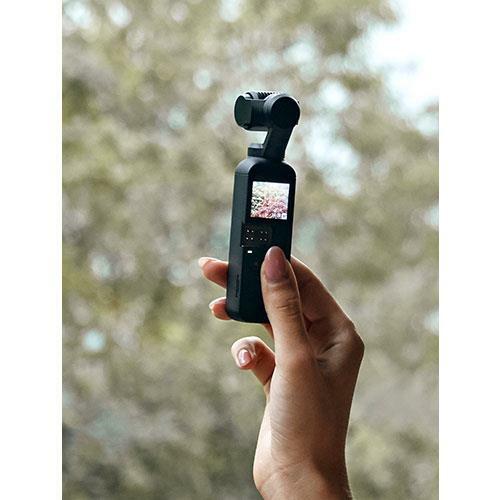 This dedicated app sets your imagination free with editing tools, templates, and access to a content-sharing community that inspires your own visual storytelling.